Healthcare CIOs face an increasingly hostile cyberscape. Los Angeles, Calif. – Nov. 21, 2018 In April’s Cybersecurity CEO column, I explained that manufacturing is the new healthcare. The industry has been under constant attack – from malware like Cryptolocker doing real damage, to insider threat on the rise, to the lack of security controls around interconnected IoT and OT environments – and unfortunately, we’re still seeing an under-investment in cyber defense in this space. But don’t misinterpret my statement to mean that Healthcare CIOs are off the hook. The (cyber) bullseye on the backs of healthcare providers is still prominent…. INSIGHT The Shark Tank investor and cybersecurity expert shares his tips for budding entrepreneurs and established small business owners. 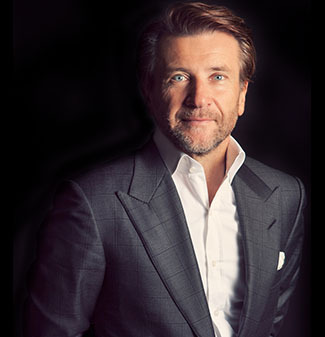 Mediaplanet spoke with Robert Herjavec, Shark Tank investor and cybersecurity expert about the current challenges facing small businesses. Mediaplanet: What are the most pressing issues that you see small businesses facing today? Robert Herjavec: Small businesses need to differentiate themselves and serve a particular customer base. I also see too many small business owners who treat their business as a hobby and don’t formalize their numbers. In today’s competitive landscape, if you aren’t using data to drive your decisions, you’ll fall behind quickly….